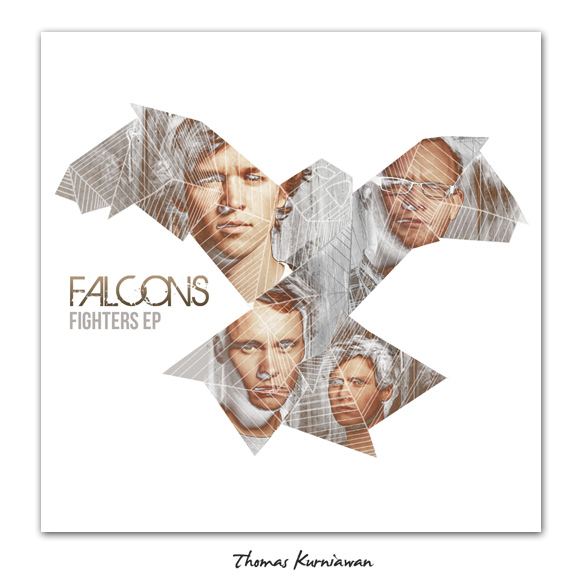 Thomas Kurniawan's Portfolio: Design CD COVER "FALCONS - Fighters Ep"
Design CD COVER "FALCONS - Fighters Ep"
Back in spring 2009, vocalist Andreas and drummer Mikkel met eachother in Australia. When their travels took them to Africa, they started writing music together and an idea started to grow. Bound by their common love of music and an inevitable friendship, Andreas and Mikkel decided to move in together and start a band. Bassist Jonas quickly jumped aboard and the three permenantly moved into the bandroom where they would spend the next month living, eating, sleeping and creating great music. 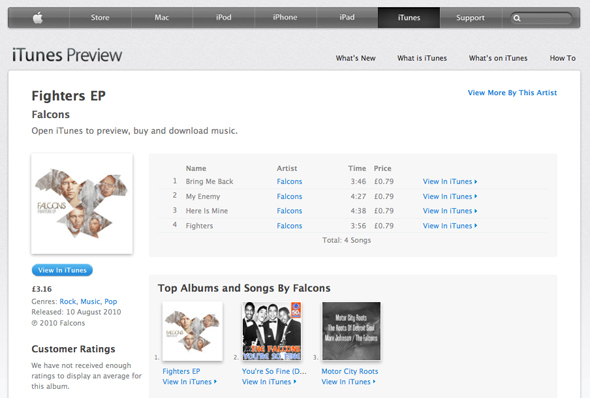 After a short time, the Fighters EP was recorded and Falcons entered into the world of music. Along with guitarist Morten Fink, Falcons fly around Denmark playing for young and old...mostly young..